Celebrate Passover 5779 in the Deli! 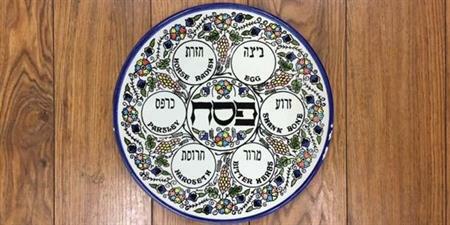 Add on a Ceremonial Seder Plate for your table! B.Y.O.H. (Bring Your Own Haggadah) - there will not be an organized Seder. Accommodations may be made for dietary needs - please let us know in advance! Specialty Cocktails, Beer & Wine (more than just Manischevitz!) will be available a la carte. Half Price for Kids 12 and under (you become an adult at 13!). Dinner may be plated Family Style and you may be seated communally. Please let us know in advance if you'd like to be seated with another party. 18% Gratuity for food will be added to your bill on the night of the dinner.